The Action Plan, presented by WHO Director-General Dr. Tedros Adhanom Ghebreyesus at the summit, aims to “align, accelerate and account,” and will be put together in full over the next twelve months. 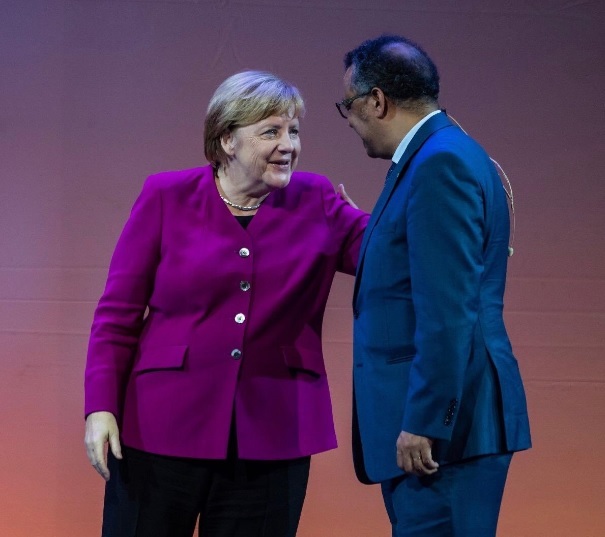 The World Health Summit, which since its launch in 2009 has brought together stakeholders and decision-makers from every field in the healthcare spectrum, boasted a programme including speeches from German Chancellor Angela Merkel, Bill Gates and Toyin Saraki. “Our Emergency Obstetric and Newborn Care – known as EmONC - training programme has resulted in a 15% reduction in maternal case fatality rate and a 38% reduction in the still birth rate in health care facilities where the project is implemented. With our partners at the Centre for Maternal and Newborn Health (CMNH) at the Liverpool School of Tropical Medicine and Johnson & Johnson, I am proud that we have moved to the next stage of the programme and will expand the training across the whole of Kwara State. Over 600 healthcare providers will benefit directly from the interventions and over the 30-month project, an estimated 62,900 women and their newborns will benefit from the interventions implemented."